Dr. Mahendra Bhangoo, a professor emeritus of plant science at Fresno State, died on Jan. 7 at the age of 87. Dr. Bhangoo served as a full-time faculty member from 1976 through 1992 and taught a wide variety of undergraduate and graduate soils courses. He also served as the college's graduate program director from 1990 through 1992. He published research on plant, irrigation and soil study related to nitrogen, phosphorous and lime applications, as well as Cavendish bananas, grapes, soybeans and cane sugar growing. Another special research interest was kenaf, an east-central African plant known for its food and fiber applications. He served as president of its international association and organized an international kenaf conference in Fresno. Before Fresno State, Dr. Bhangoo served as a professor of agronomy from 1966 to 1976 at the University of Arkansas at Pine Bluff. Prior to university academia, he worked on research for the USDA from 1964 to 1966 in New Orleans in sugar refining and with the Standard Fruit Company from 1957 to 1963. He received a botany and horticulture bachelor’s degree in 1950 from Agri University (India), a master’s degree in 1954 in subtropical horticulture and fruit physiology from UCLA, and a doctoral degree in 1956 in soil fertility from Kansas State University. A funeral service was held Saturday, Jan. 12 at Harbor Law-Mt. Olive Memorial Park and Mortuary in Costa Mesa. 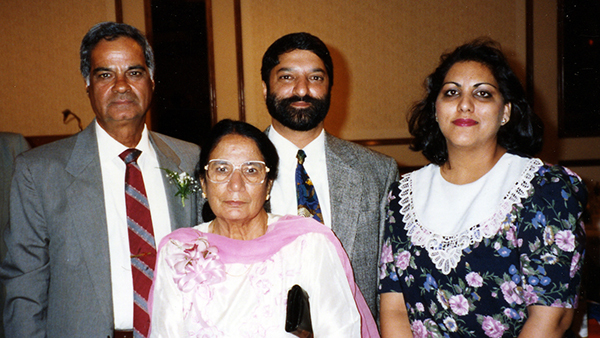 Dr. Bhangoo was born on April 15, 1931 in India, and is survived by his son, Guri Bhangoo, his daughter, Gurdip Cheema, and four grandchildren. Visit Ag One Foundation for more information on contributing to a scholarship endowment for agronomy students in honor of Mahendra and Surjit Bhangoo and family.